Watch Ken Block's off-road Driving Gymkhana - Terrakhana? If you’re the fan of Ken Block, you must be knowing why he is so popular among car enthusiasts. His attention drawing Gymkhana videos are so engaging that anyone can lose control. But let’s face a fact, watching the same concept of rallying on different Gymkhana videos seems almost boring over a period of time. That’s why Ken Block has reinvented the concept by taking the Gymkhana to off-road style. Let us tell you this new Terrakhana is so full of dust and adrenaline rush giving that you could imagine yourself over there. In Ken Block’s words, he says he always wanted to take this Gymkhana on off-road that’s why he named it as Terrakhana. Terra means Earth. 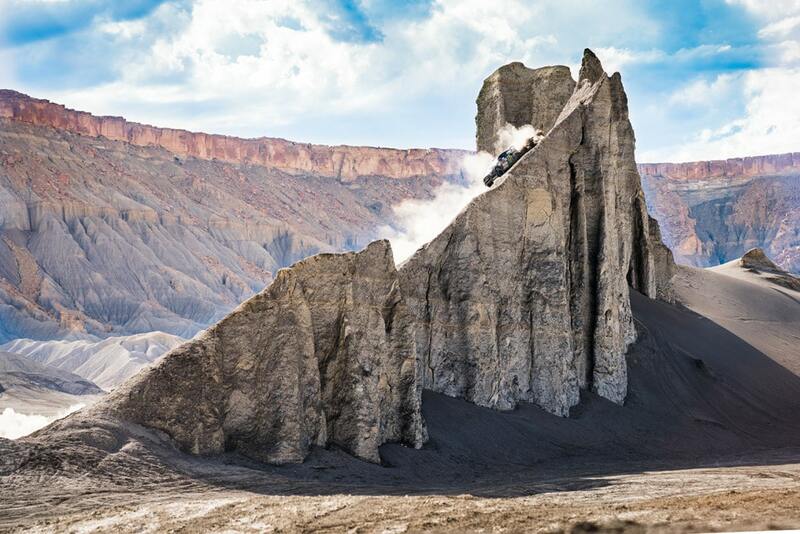 In one of the scenes, Ken Block put himself on such a dangerous stunt at a rock named as Knifes Edge, that he could have lost all if he went on the wrong side. Well, that’s what makes him so cool. Check out the video below and let us know your views, and remember don’t try this on your own. Be safe. Hoonigan Ken Block takes Gymkhana to off-road driving style. Terrakhana, Watch the video of Ken Block driving his Ford Fiesta on high hills.